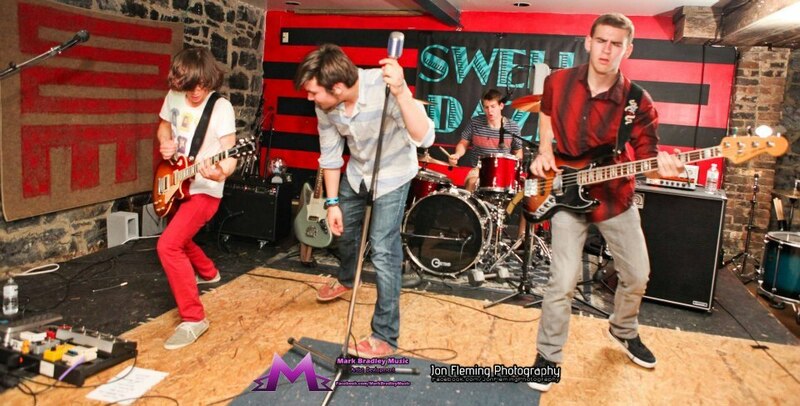 Swell Daze is an Alternative Rock band out of Purcellville, VA. The band formed in the summer of 2011 as a group of high school friends who just wanted to play some of their favorite covers. A few months later they wrote a few songs and quickly realized they had a talent for it. With no budget, they managed to put together a solid DIY album in May of 2012 for their fans to chew on as well as get their name out and about in the industry. Using their new album they managed to book 20 gigs in their first summer together. The band was sponsored by RedBull SoundStage over the summer and their album is currently on the national CMJ Top 200 College Radio Chart. They licensed their song “Hooked” to Tony Hawk’s Ride Channel on Youtube and have more recently secured licenses with several TV programs. They filmed a music video of their song “Move” on Aug 12th which is now available on Youtube. Working off the energy and momentum of their song Hooked and Lost Your Head from their first EP, the band is on a roll with several new songs that define their own, bold, alternative hard rock sound. Swell Daze is making plans to record a new album this summer and is pumped for people to hear what they have to offer. Posted on this site are some live versions of songs for their next album. The band is working on songs for this new album and are very excited about how they are developing their own unique Swell Daze sound. They are a talented group of young musicians that are fired up to make a mark in the music scene. In addition to their original tunes, when performing live, they like to mix in an “out of the ordinary” set of great covers. They have a knack for taking “New Wave” tunes from the 80’s, Current Rock tunes as well as Alt Rock tunes and turning them into relevant “Rock” hits of their own for today’s audience. So, never mind their age, they produce a live sound that sets them right along side any seasoned professional band. Swell Daze is an energetic band that puts on a great live show. Listen to their debut EP and let their music speak for itself! Mojo Kick is Colby Blauvelt, John Fiore, Eric Melkonian. The 3 share many of the same influences, but it’s the differences that make them both unique and special.